Dovis Plumbing offers high quality, low cost plumbing solutions to property owners in Hollywood, Florida. When you have damaged, broken, or malfunctioning plumbing, you can trust our licensed and insured technicians to fix your problems effectively. Our work is backed by our comprehensive 1-year warranty! Your plumbing system is protected from failure long after our work is complete. Faulty plumbing can wreak havoc on your property. Delaying repairs can cause extensive damage and cost you more money in the long wrong. Damage to walls and floors, foundations, and even electrical systems can occur if left unchecked. Plumbing that is damaged, broken, or even clogged can pose health risks if not addressed promptly. Our company will repair your system and save you the expense and inconvenience of a failing plumbing system. You want a reliable, trustworthy plumber to assess your needs and act swiftly. 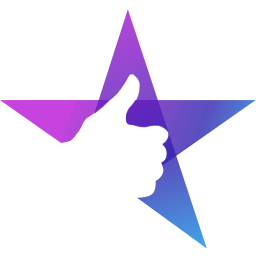 At Dovis Plumbing, we offer top rated services and have multiple, positive Yelp reviews from our Hollywood, Florida clients. Our company is staffed with veterans in the industry and highly trained technicians. Our employees take pride in their work and use the tools required to fix your plumbing problems fast. Dovis Plumbing even offers emergency services to Hollywood, Florida property owners! Plumbing failures don't always occur during business hours. If you've got a plumbing emergency, call us right away to schedule an appointment. Sometimes, plumbing problems go deeper than what we can see at the surface. We use innovative industry technology like drain inspection cameras to support our technicians in their work. This allows us to get to the source of your plumbing failure and ensures full repair of the issue. Our 1-year warranty gives you the peace of mind that you'll be free from plumbing disruption after our work is completed. We have decades of experience in the industry, which is more than our competition can say. We offer affordable pricing, and our Hollywood clients receive a personalized service quote before work is performed. You know ahead of time what it will cost to have your plumbing repaired. We make sure you understand the scope of repairs necessary and that you're prepared for the work that will be done. Our service personnel will walk you through what is required to cut surprise expenses along the way. If you've got faulty plumbing that's wreaking havoc on your property and your life, call Dovis Plumbing. We'll work hard to relieve your stress and resolve your plumbing issues affordably. If you have questions about the services we offer, or want more information specific to your property, we can help. Our representatives will work with you to discuss your personalized service quote. They'll help you schedule an appointment to answer your questions. Don’t let your faulty plumbing take over your life. Let us earn your business and your trust. Call Dovis Plumbing today to find a solution! Coordination was easy. The work was timely and under the quoted cost. Additionally, I received some free advice on improving my home's water quality. Highly recommended plumber for good reason. When you hire a plumber for plumbing services, you shouldn't have to worry about the workmanship. 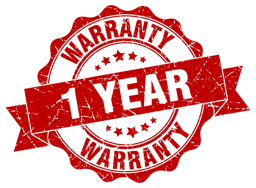 All our material and labor are proudly covered by our 1 year warranty!